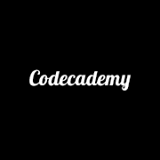 Codecademy is one of the most popular coding training websites on the Internet. It’s free and easily accessible to anyone. It made waves in 2012 with Code Year, a free year-long coding course that anyone around the world could take. Although Code Year is over, you can still take free and interactive coding lessons at your own pace. If you’re wondering whether Codecademy is the right training for you, this review will help you decide. You’ll find out exactly what Codecademy can teach you, its biggest unique advantages and also its downsides. Each lesson is made up of a series of interactive coding exercises, which allow you to practice your coding right inside your web browser. Each exercise is accompanied by a written explanation, so you know what’s going on. By far the biggest unique advantage of Codecademy is that its training covers the use of APIs, or application programming interfaces. APIs are tools that companies provide in order to grant programs access to their data. Codecademy offers lessons in how to use the APIs of YouTube, Twitter and dozens more companies. Like the rest of the training, the API lessons are free and you can practice them inside your web browser. When you create a free account at Codecademy, you’ll get the opportunity to join groups and socialize with other coders. There’s a group for every coding language and interest. In addition, every lesson at Codecademy has a Q&A forum. So if you ever get stuck, you can quickly get help from other community members. Codecademy differs from the other big players in the coding training space in that it’s 100% free. Of course, this means there’s a trade-off or two. Firstly, there are no videos – only written tutorials. This means the training may be a bit harder to follow. Also, many of Codecademy’s lessons are written by volunteers with little or no teaching experience. As a result, some are poorly written, inconsistent with other lessons or even have bugs. Perhaps the biggest downside to Codecademy is its limited depth. Its lessons only cover the basics of coding, which is not enough material to turn you into a professional coder. Plus, it doesn’t teach you any supplementary skills. For example, one of the most important skills to develop in coding is the skill of producing a real, complete product – like a website or app. Codecademy only goes as far as very simple projects like web forms and date pickers. While Codecademy won’t train you to become a pro coder, it’s good for learning the basic skills. You can always start at Codecademy for free and then switch to more advanced training when you’re ready. The best way to find out if Codecademy is for you is to try it out for yourself. Remember, it’s totally free and you can start right now.